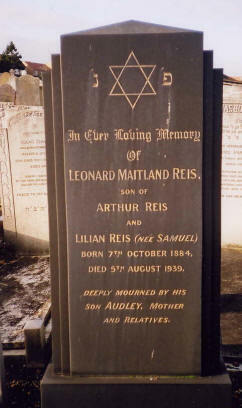 Leonard Maitland Reis was born on 7 October 1884 at Hammersmith, London, the son of Arthur Montagu Reis and Lillian Samuel. 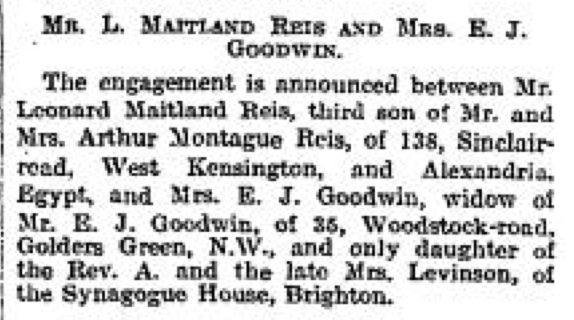 He married May Samuel in 1909 at Axbridge. They were later divorced. 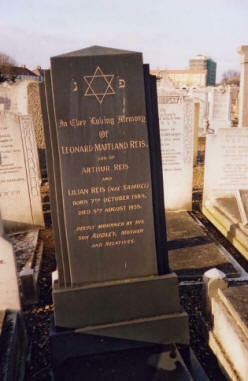 He died on 4 August 1939, aged 54. At the time of his death he was residing at 216 Trafalgar Road, Greenwich. NOTES: He was a dentist and also earned money buying endowment policies with a limited life. He was a bit of a gambler who would go to the dog racing track at White City. His brother Vernon Calvert made false teeth. Leonard lived at 69/7 Sinclair Road, Kensington. He died quite young of atheroma of coronary arteries, myocardial degeneration and cardiac failure, according to his death certificate. 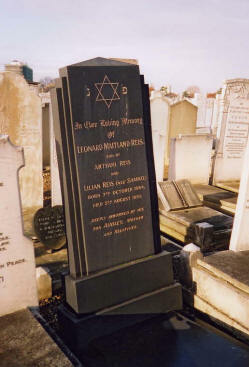 Leonard Maitland Reis is interred at East Ham Jewish Cemetery – Section N, Row 4, No.107 (see picture below). 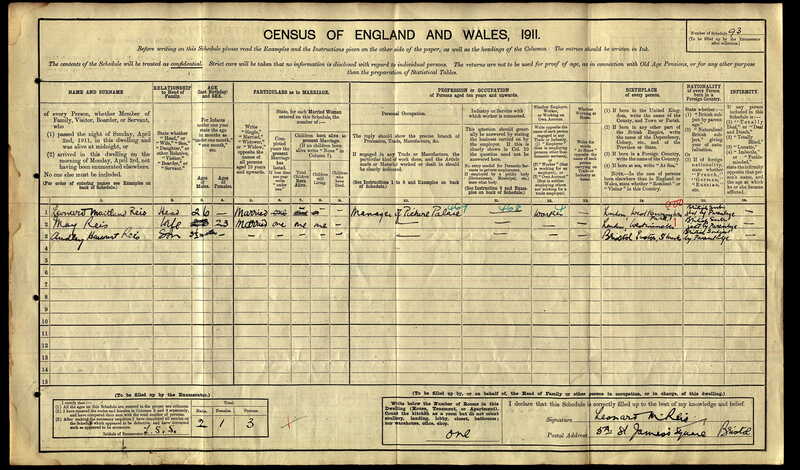 His brother Vernon married “a Scotch charming lady”. His business was opposite Shepherd Bush underground station. Prior to this he was in a mental home. Leonard died wearing a green suit and as a consequence his sister Audrey never wore green again, green curtains and carpets were got rid of. All these sons of Arthur Montagu Reis were eccentric.